Google RankBrain is a machine learning artificial intelligence system that provides a modern approach to Google’s search query intents. It allows Google to return relevant content that doesn’t contain the actual words in the original search. It’s the stepping stone to your computer being able to understand the context of what you’re looking for so that it can give you back even more detailed results. This technology is cutting edge, and as you would expect, it’s definitely going to change the playing field of marketing for your business. You’ve been told for years to build your site in a certain way, inserting in certain words and phrases to clue search engines into what you’re looking for. However, as the machine gets smarter, it’s likely to make your life a whole lot easier. A solid search algorithm, one that was able to discern a deeper understanding of each query terms through not only of the words themselves but the actual intent of meaning when they are searched for, has long been a goal for Google. Finally, they announced and released Hummingbird, which did just that. It is thought that RankBrain is taken in part from this original concept. Some have said that they took a portion of the Hummingbird algorithm directly, enhancing on it to create an even more powerful tool. Take a moment and think about how this could revolutionize search queries. Right now if you’re looking for a “graphic designer in Los Angeles, California” there are a number of ways that you could put that into Google. In each of these examples, you’re looking for the same thing. You know it, but the search engine doesn’t. It only knows what keywords have been tagged for pages and can’t really understand the specifics that you are requesting. You’ll get results, but these are based on the content specifically posted on the relevant pages. RankBrain makes the entire process more simple and pairs queries with content that is relevant to the search. It reduces the importance of keyword matching while increasing the chances that the content it gives back is closer to the searchers original intent. RankBrain takes Google’s search understanding further than you have experienced it before and not only will close enough keywords or cities be able to be recognized as connected, Google will now be able to link concepts that are interconnected and form an understanding of what you’re searching for. Prior to implementing RankBrain, a search for “European sports cars” would give you varied content because you would be getting results for “European” “sports” and “cars”. This means that you would not only see results pertaining to vehicles from Europe, but also soccer or rugby, which are popular sports from the region. Google already understands basic concepts such as “learn to cook” is the same as “learn cooking” or “cooking lessons”, but with this RankBrain it now takes intended meaning into account. 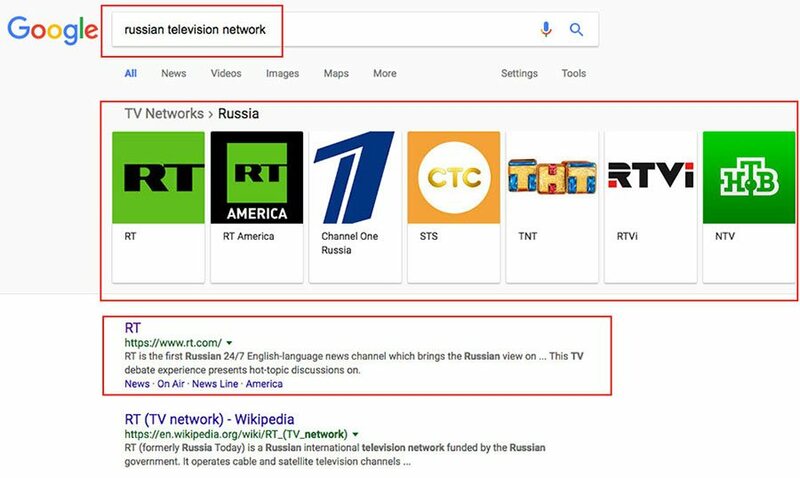 For example, if you were to search for “Russian television network” you will now get hits for RT or STS, even if they don’t have the words “Russian television network” in their content. Google understands that those television networks are Russian and that they are popular and relevant to the search. How will this affect you, as a website owner? Do I have to redo my entire site? Most people will not have to redo any portion of their website, other than streamlining the information to be more natural. SEO writing has forced people to write to a machine while capturing the interest of an audience. You will not be able to streamline the process and you may notice a few changes in how you should be posting content in the future. It is suggested to start taking on the new guidelines for posting by making your content more natural now, to get ahead of the curve. Keep the following things in mind as well as you change up your site to work better with Google’s RankBrain. Avoid using duplicate pages since you can now get tighter content optimization by condensing it. Additionally, you will want to cut down on keyword stuffing, avoiding it all together and opting instead to pepper key terms smartly through your page and list your location only where it is obvious to be seen or natural in the flow of content. Now that Google factors in context, you will have a differing output for the same content. Certain queries will require different content. For small businesses, you will want to validate your service rather than focusing on the city that the business is located. You will need to have simple and easy to find information. Lists and bullets will be more popular so that you can give direct information to users. You’ll need to be more focused. You will need more content that is focused on your website’s purpose since Google will now be putting more content out there that is context based. Keep consistent on how you put content on your site, both by doing so regularly and creating a consistent format that you stick with for your page. For more information on how to make your content better please read our on-site SEO checklist. The best way to incorporate the RankBrain process is by approaching content based on what common queries might be. Think of how people would look at your page from a natural standpoint, focusing on an intent-based approach. It should feel much the same as customer service for your web persona.